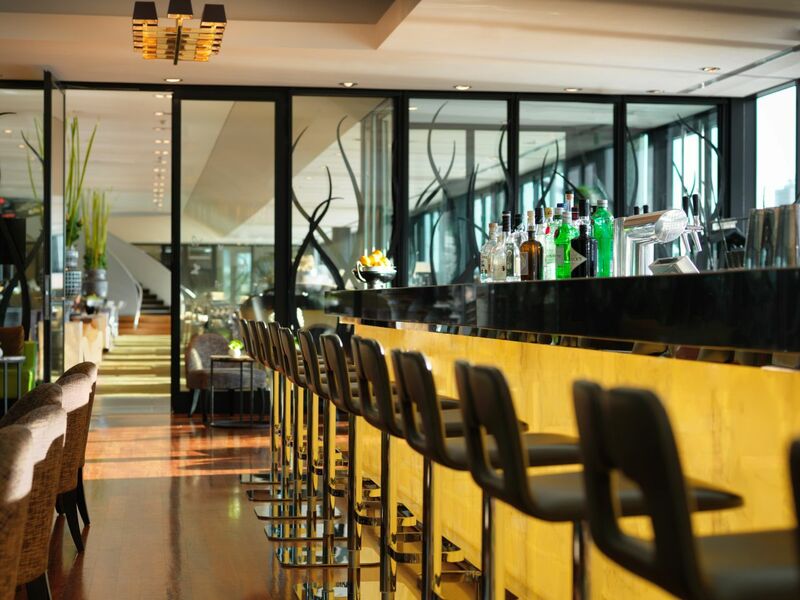 Hyatt Regency Dusseldorf has several dining opportunities featuring international cuisine and sushi. 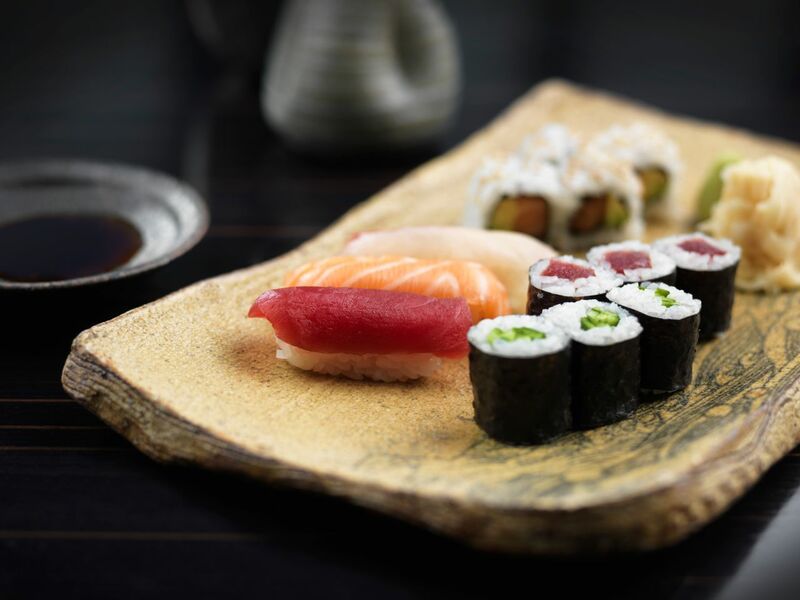 DOX Restaurant offers fine regional dishes and traditionally prepared sushi, featuring views of the city skyline. Self-service restaurant Café D is the ideal outlet for a business lunch in the Media Harbour, a quick snack to go or cosy fondue dinners. 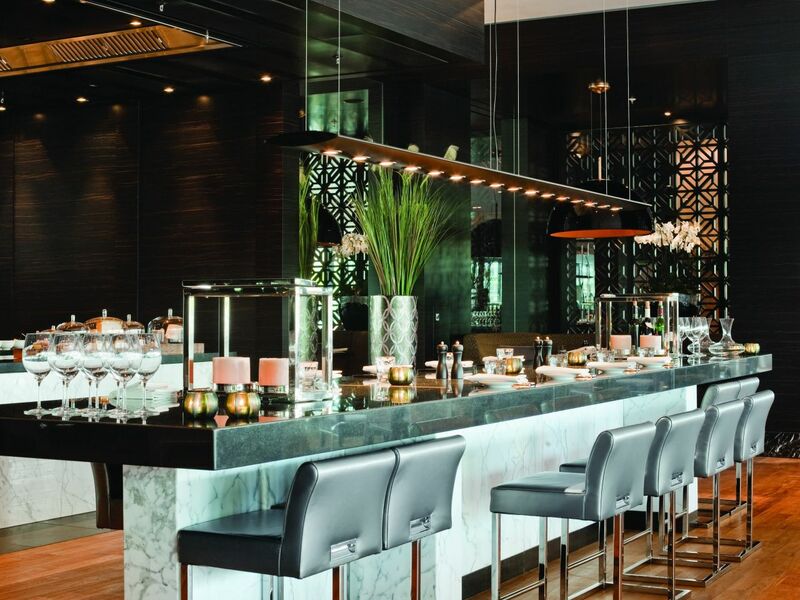 At DOX Bar and Lounge a wide range of beverages, snacks and local dishes is served. During the summer months, Pebble’s Terrace invites for casual drinks or classic afterwork events in stunning surroundings. DOX restaurant invites you on a culinary journey. Our menu features classic European cuisine with a modern interpretation. Seasonal, fresh products from local markets are the basis of classic food presented in a creative, modern and fun way. Watch our chefs prepare the dishes in an open kitchen and enjoy spectacular views of the MediaHarbour and the city skyline. A specialty of the restaurant is the traditionally prepared sushi. The sushi bar in the middle of the restaurant offers insights into the preparation of the Japanese delicacies. Set apart from the regular restaurant service, River Salon I and II are available for private dining, such as business dinners or private parties. The private dining rooms have direct access to the outdoor terrace surrounding the two rooms. You are interested in the culinary know-how? Then check out our Hyatt cooking classes! 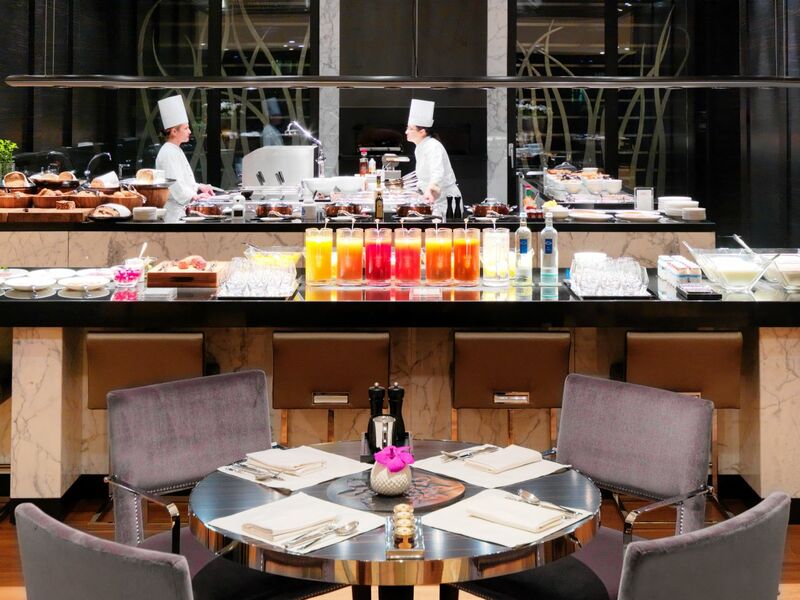 The Chef’s Table at Hyatt Regency Dusseldorf is an interactive experience and promises a relaxed and extraordinary atmosphere at the same time. The large marble table, with a length of six metres, is directly in front of the open show kitchen of DOX restaurant and offers two views. One is of the restaurant and Media Harbour, and the other is the nimble hands of the kitchen’s artists. The Chef’s Table seats up to 20 guests, who can experience their culinary journey through the DOX menu. With out Chef's Table Lunch Menu we offer you all benefits of the exclusive Chef's Table also during lunch time. The choice of dishes reflects a cross section of the regular DOX lunch and is available for a minimum of 6 people. 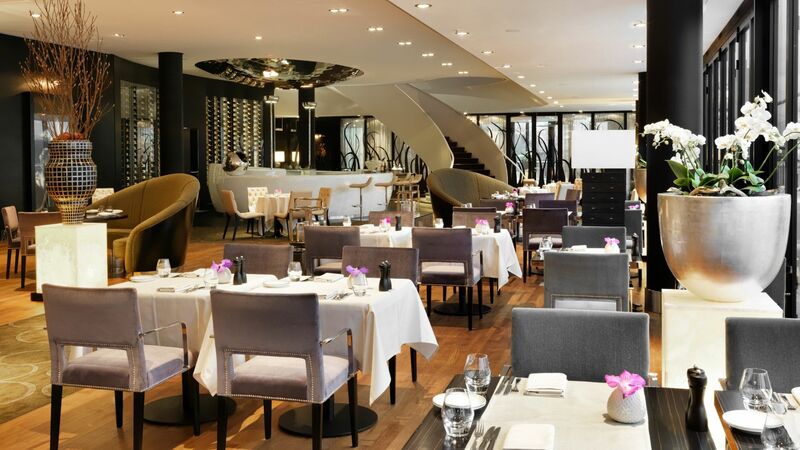 The price for the 3-course Chef’s Table Lunch Menü is 39 Euro per person. Water, coffee specialties and a glass of wine can be booked for an additional 16 Euro. Treat yourself with energizing dishes before enjoying Dusseldorf's nightlife. For that we present you the Chef's Table Late Night Menus with three different menus: "Düsseldorf", "Cocktail" and "Champagner". Every menu offer matching dishes with the appropriate choice of drinks. The Chef’s Table Late Night Menus can be booked for a minimum of 10 people, begin at 67 Euro per person inkluding beverages and are served from 10:00 - 12:00 pm. The team of the DOX Restaurants is delighted to receive your reservation, either via telephone: 0211 9134 1775 or via E-Mail an dox-duesseldorf@hyatt.com. Café D is a place where hotel staff, guests and business people come together. 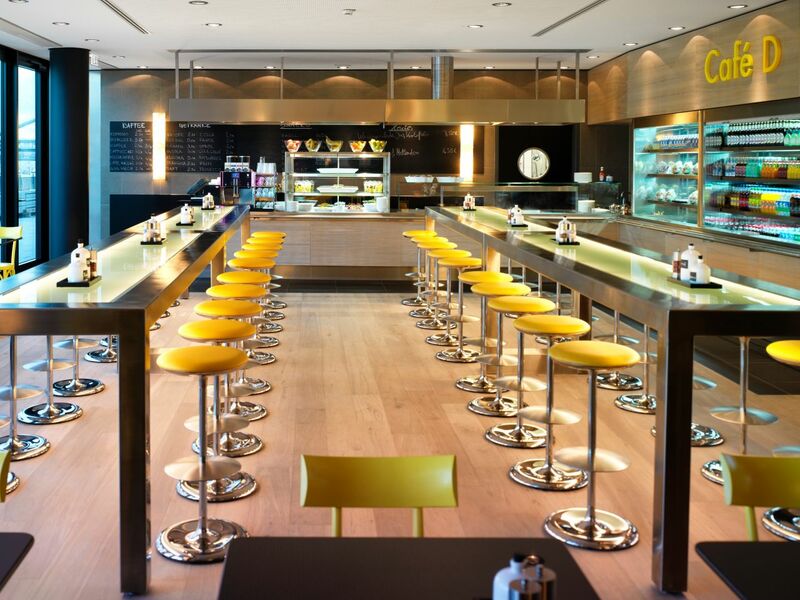 Café D is an exclusive self-service restaurant concept at Hyatt Regency Dusseldorf. Here, hotel employees join external guests. Café D offers its guests breakfast items such as various yogurts, coffee and sandwiches. From 11:00 am onwards, Café D offers its guests breakfast items such as a variety of yoghurts, coffee and sandwiches, salads and warm dishes, available all day. Kindly note that table reservations are not available at Café D.
At our Café D you can additionally hold dinners in a casual and relaxed environment. How about a matching seasonal menus (asparagus, mushroom time, Christmas classics) or culinary theme evenings (Spanish, Italian or Tarte flambee)? For your children we provide the ingredients for an unforgettable birthday. We prepare the perfect birthday cake in our pâtisserie and offer a complete candy bar, a game corner and matching birthday decorations. For all teenagers we organize the perfect party with mirror ball, alcoholfree punch and matching DJ during later hours. The parents can relax meanwhile at our DOX Bar. Reserve your Café D Event with our event department via telephone: +49 211 9134 1724 or via E-Mail: dusse.rfp@hyatt.com. 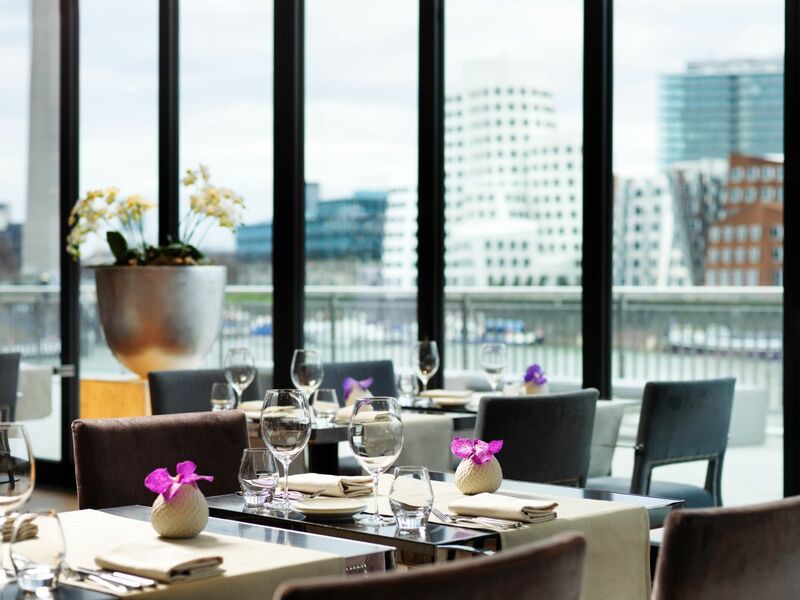 DOX bar is located at the Media Harbour in Dusseldorf with a spectacular view of the MediaHarbour and the skyline of Dusseldorf. Classic cocktails and recipes have found their place on the menu at DOX bar. These classics are complimented with creative ideas based around high-quality products in the form of modern cocktails. DOX bar offers a selection of high-quality wine, alcoholic beverages, cuvees, non-alcoholic drinks and coffees in addition to the great variety of cocktails. Give your Sunday a special touch and enjoy a “Classical Tea Time”. Typical Tea Time specialties such as homemade baked scones, clotted cream, classic finger sandwiches, salmon and roast beef or fruit tartlets and macarons are offered to you. On Sundays from 12.00am to 5.00pm we serve you the “Classical Tea Time” for 24 Euro per person including all hot beverages. All dates for our Gin Tasting classes you can find here. The air-conditioned lounge is located near the hotel catwalk, which links the hotel lobby with the DOX restaurant. The Lounge invites you to a retreat with warm colours and comfortable ambience, while allowing a view of the catwalk and the DOX bar opposite. Enjoy a cup of aromatic coffee in front of the fireplace. Or celebrate the evening with a delicious cocktail from DOX bar. Kindly note that table reservations are not available at the Lounge. On Saturday, 25 May 2019 the city of Dusseldorf will transform itself into a Far Eastern metropolis, for the 18th time after all. As “Japan on the Rhine” the city represents the highlight of the German-Japanese culture with its spectacular fireworks and a range of music, dance and sports. The menu is 110 Euro per person. Reserve the menu via telephone: +49 211 9134 1775 or via e-mail: dox-duesseldorf@hyatt.com. Start your morning with an extensive breakfast with delicious egg dishes, fresh bread and roasted coffee or enjoy dinner in the private atmosphere of your room. Our room service is a convenient quick start for early risers, a romantic dinner for two or a hospitable gathering. 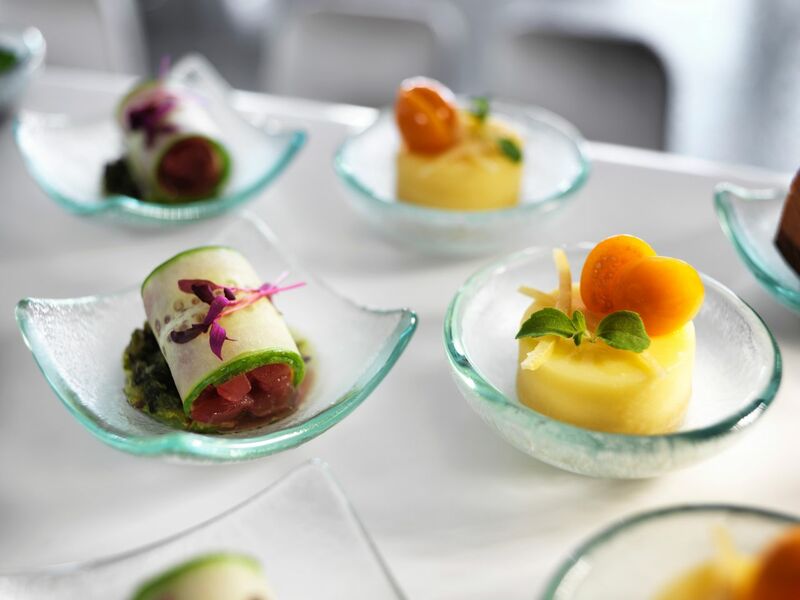 From snacks to full four-course meals, we offer the dishes of your choice served in your room. Call us for all the pampering touches. Do you enjoy dining with friends and business partners on a regular basis? Then become a Hyatt Gourmet Club member and enjoy many benefits at Hyatt hotels in Dusseldorf, Berlin, Cologne, Hamburg and Mainz. 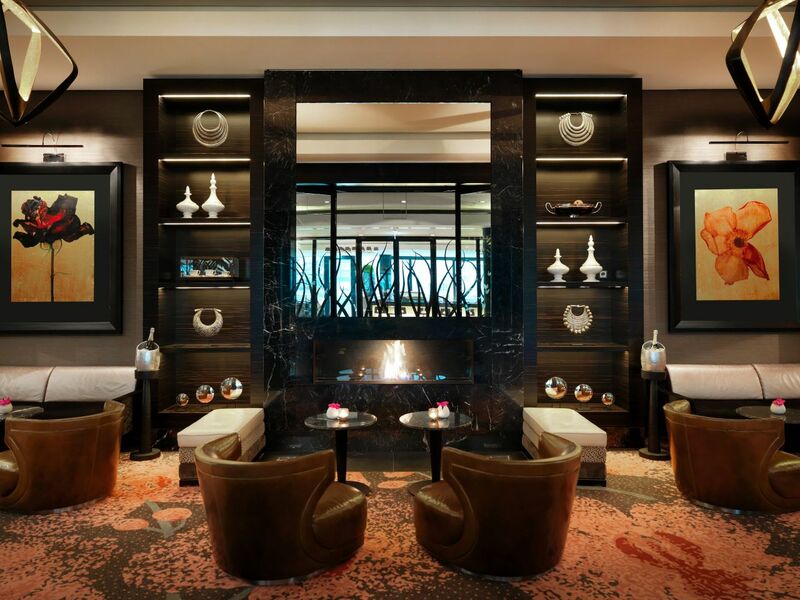 Learn more about the Hyatt Gourmet Club.